Donation Movers LLC is proud to serve Arizona’s state capitol and the nation’s sixth largest city. 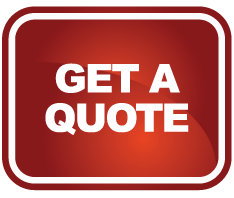 Natives and newcomers alike choose Donation Movers LLC as their top moving service. Valuing customer loyalty has pushed Donation Movers LLC to be the successful and trustworthy company it is today. With a population of roughly 1.4 million, legend has it that sunny Phoenix acquired its name from early pioneers. After finding the ruins of the Hohokam tribe, it was believed that a new civilization would rise and thrive from the ashes. Sunny an average of 310 days per year, Greater Phoenix is home to more than 200 golf courses. Excellent recreation and beautiful weather may be why Sky Harbor Airport ranks as one of the ten busiest airports in the nation. Known for its strong cultural Native American influences, Arizona is home to 23 reservations representing 21 different tribes. 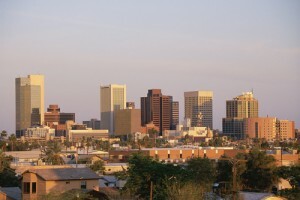 Included in the short list of U.S. cities with franchises in all four major professional sports leagues, Phoenix is proud to be the home of the Arizona Cardinals (NFL), Arizona Diamondbacks (MLB), Phoenix Coyotes (NHL), and Phoenix Suns (NBA), all of which have ranked in playoffs and have won national titles. Phoenix, at an elevation of 1,117 feet, is geologically unique. It is surrounded by mountainous peaks and decorated with one of the most ecologically diverse desert landscapes in the world—the Sonoran Desert. Home to the largest municipal park in the world, South Mountain Park and Preserve which offers over 50 miles of hiking, walking, biking and horse trails. These are spread over its 16,500-acre range, offering plenty of activity for people of all different ages and interests. With six lakes only a short drive from its metropolitan center, Phoenix is an outdoorsman’s utopia. I have used DONATION MOVERS LLC, on two occasions and have referred several friends to them. The are very courteous, caring and considerate in the movement of your furniture. They make sure everything is covered so there is no damage, the will put the furniture anywhere you want it and then re-adjust it to your liking. Mr. Schmitt could not have been more helpful in scheduling my move (on both occasions), and the girl in the office is just as pleasant. It seems that they can not do enough for you. I highly recommend DONATION MOVERS LLC, and I will continue to recommend them to all of my friends, family and anyone else I here talking about looking a mover.